Family - Family rates are calculated for at least 2 individuals such as spouse and dependent children. Effective Date - The date your health insurance policy will start to cover you. Expiry Date - The date your health insurance policy period ends. * All displayed product prices are in Canadian funds (CAD), exclude applicable taxes, if any, and are subject to change by the corresponding insurance provider without prior notice. The final price is determined upon the sale order. What is Travel Health Insurance for Canadian Students? If you are a Canadian Student travelling abroad or out of your home-province to pursue your degree, you can protect yourself and your financial well-being with a private health insurance for Canadian Students. You may already know that your Government Health Coverage does not fully cover the costs for your possible medical needs outside your home-province. That is why, opting for a Travel Health Insurance for Canadian Students will be a smart choice to make when you will live away from home. Health Insurance for Canadian Students: What is it? Travel health insurance for Canadian Students will take care of the costs for your emergency medical needs while, you are studying outside your province of residence. Such health insurance works as an addition to your Provincial Health Insurance Plan covering up to $2,000,000 for medical emergency treatment during the period of your studies. Once you have decided that you are leaving your province of residence and would like to have your money safe from the medical emergency treatment expenses, it is time to determine your eligibility for a Canadian Students health insurance policy. 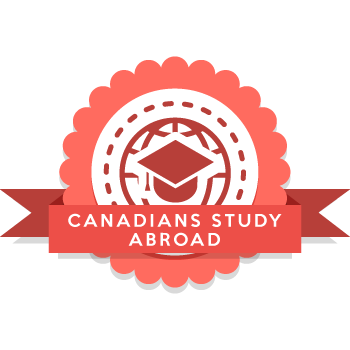 – You are going to study full time in a recognized learning institution abroad or another province/territory in Canada. – You meet other conditions set by an insurance plan of interest. Important Notice: Be advised that eligibility requirements may vary depending on the health insurance plan for Canadian Students travelling to study abroad or in other province in Canada. Please, read Policy Wording for an insurance plan of your choice or contact our Insurance Advisors, if you have any questions. What’s Covered by Health Insurance for Canadian Students? Please note that coverage benefits provided by Health Insurance for travelling Canadian Students vary from plan to plan. Yet, all eligible expenses to be covered by such insurance policy must only originate from an emergency health treatment you may require, except a few things, during the period of your studies outside your province of permanent residence. Each travelling Canadian Students health insurance plan offers a set of special features that vary depending on a product you choose to cover yourself with. – Medical emergency insurance coverage up to $2,000,000. – Up to $5,000 for Tuition Reimbursement, if you are not able to finish your studies due to a sickness. – Physical and Vision Examination once a year. – Insurance coverage for dependents. – Vaccinations and Pregnancy Coverage. – Financial aid for Tutorial Services. – Family coverage for spouse and dependents. Below you will find a list of the costs that are covered by all Health insurance plans for Canadian Students travelling abroad or out of the province of residence. Important Notice: Please, note that the summary of health insurance benefits above is not an actual Plan Description for any Health Insurance Plan for Canadian Students travelling to study abroad or in other province of Canada. Get in touch with our Insurance Advisors to learn more about the insurance coverage we offer.